I’m writing about an inventorship case mostly because I have to bone up before I speak at the AIPLA Mid-Winter Institute in a talk rivetingly titled “The Backlash from Mismanagement of Inventorship in Multi-Party Deals.” If you’re attending, consider Speedfit LLC v. Woodway USA, Inc. your homework assignment. The plaintiffs are an inventor, Aurel Astilean, and his company, Speedfit. 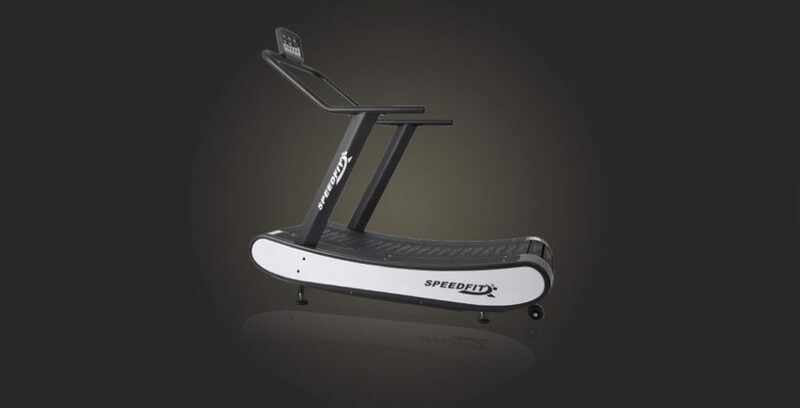 Astilean was the inventor on two patents, the ‘619 and ‘016 patents for manually-powered treadmills. The patents were amended to add another inventor, Daniel Bostan, during the lawsuit, but Bostan is not a party to the suit. Defendant Woodway manufactures manually-powered treadmills, the suit mentioning the “Curve” treadmill. The backstory, not in this opinion (but you can read it here) is that Astilean hired Woodway to make a prototype of the treadmill. The complaint alleges that there was a non-disclosure agreement stating that Speedfit was to own “every right of every kind in and to its designs and any other information supplied to Woodway, and to any prototypes that Woodway builds as a result thereof,” as well as later documents confirming Speedfit’s ownership. Nevertheless, Woodway also filed patent applications for the treadmill, the ‘627 patent, the ‘169 patent, and the ‘276 patent. The legal theories have morphed throughout the case,1 starting with a complaint for declaratory judgment of non-infringement of the Woodway patents but now currently a claim for infringement of the Speedfit patents combined with a claim for correction of inventorship of the Woodway patents. The Federal Circuit has addressed the question of whether there is a rule of patent law that precludes application of Rule 19, in light of the rule that “an action for infringement must join as plaintiffs all co-owners.” Ethicon, 135 F.3d at 1467 (citing Waterman, 138 U.S. at 255). In considering this question, the Federal Circuit has held that “[r]ules of procedure, such as Rule 19(a), must give way to substantive patent rights.” STC.UNM, 754 F.3d at 946 (citing 28 U.S.C. § 2072 (2012)). The Federal Circuit has defined such “substantive patent rights” to include “the right of a patent co-owner to impede an infringement suit brought by another co-owner,” noting that this substantive right “trumps the procedural rule for involuntary joinder under Rule 19(a).” STC.UNM, 754 F.3d at 946 (finding that one co-owner’s consistent expression of a desire not to join a lawsuit left the other co-owner without standing to bring the suit); see also DDB Technologies, L.L.C. v. MLB Advanced Media L.P., 517 F.3d 1284, 1289 n.2 (Fed. Cir. 2008) (“[W]e have explicitly held that Rule 19 does not permit the involuntary joinder of a patent co-owner in an infringement suit brought by another co-owner.”). Thus, controlling precedent is clear that a co-owner must voluntarily join an infringement suit, and absent the specific exceptions discussed above — which do not apply here — a court cannot rely on Rule 19 to join an unwilling co-inventor involuntarily as a plaintiff. [Astilean and Bostan] will promote and market the New Design in such a way to obtain the most beneficial rewards, both financial and honorary, for their role as innovators and catalysts for the implementation of the new generation of green treadmills. The court finds that the 2009 Agreement did not constitute a waiver by Bostan of his right to refuse to join an infringement suit. First, there is no mention in the 2009 Agreement of participation in future lawsuits and Bostan’s willingness to do so. Second, years after the 2009 Agreement was executed, Bostan expressed his desire not to participate in this suit in the emails and deposition testimony cited by the parties — thereby asserting his right to refuse to join the lawsuit – without any mention of the 2009 Agreement. Plaintiffs point to Bostan’s deposition testimony, in which he stated that he “was giving all the rights to Speedfit over the applications, patents and so on” and that his “understanding was that Speedfit now will continue their lawsuit against Woodway […] and I will not have to be party of that.” The court finds this statement to be ambiguous at best with respect to Bostan’s intention to waive his right to refuse to join the lawsuit. Based on the foregoing, and because a waiver must be clear and unambiguous, the testimony cited by plaintiffs cannot be viewed as a waiver of Bostan’s right, particularly to the extent that it can be construed as an expression of Bostan’s desire not to be a party to the lawsuit against Woodway. (Citations omitted; ellipses in original.) The court therefore dismissed the patent infringement claim. Although this court finds that Bostan must be joined as a plaintiff in order for plaintiffs to have standing to bring a patent infringement claim, the court finds that Bostan need not be joined for plaintiffs’ correction of inventorship claims to stand. The court finds that as an assignee of Bostan, Speedfit may assert a clear ownership interest in the subject matter at issue in the Woodway Patents and therefore has standing to bring claims for correction of inventorship seeking to add Bostan as an inventor. Moreover, the court notes that in light of the Assignment Agreement, Bostan no longer has an ownership interest in the ‘016 and ‘619 Patents, and would likely be found to lack standing if he sought to bring a correction of inventorship claim on his own behalf at this time. The plaintiffs also had a conversion claim, “based on the allegation that ‘Woodway has wrongfully exercised dominion over the property of Plaintiffs by refusing to name Astilean and Bostan as either inventors or joint inventors […] of the [Woodway Patents]. '” Uh, no. In addressing matters of preemption, the Federal Circuit has explained that “although federal patent law plainly does not provide for explicit preemption […] a state may not offer patent-like protection to intellectual creations that would otherwise remain unprotected as a matter of federal law.” Further, the Federal Circuit has held that “the field of federal patent law preempts any state law that purports to define rights based on inventorship.” Thus, according to controlling precedent, a state law claim that either seeks “patent-like” protections not provided by federal patent law, or turns on a determination of inventorship, is preempted by federal patent law. Here, plaintiffs’ conversion claim is both “patent-like” in nature, and also turns on a determination of inventorship regarding the manually-powered treadmill design at issue. First, plaintiffs’ assertion of ownership over the subject matter of the Woodway Patents, which underlies their claim of conversion, clearly turns on a determination of inventorship. Second, the damages that plaintiffs assert, in particular the “loss of value of the Patents-in-Suit and the revenues derived from licenses to that property,” essentially restate the infringement claim for which patent law would provide a remedy if warranted. The court therefore finds that plaintiffs’ conversion claim is preempted by federal patent law and must be dismissed. So inventorship, and I believe a breach of contract claim, are still alive. The case has been pending for 3 1/2 years and is heavily litigated. I wonder how much money there is in non-motorized treadmills. Speedfit LLC v. Woodway USA, LLC, No. 130CV-1276 (KAM) (E.D.N.Y. Dec. 28, 2016). Interesting. Here are my thoughts: the real and most important question to ask in the beginning is whether true/correct inventorship a question of law or fact. The Supreme Court has never directly addressed this question and opinions from the Riding Circuit are (at best) conflicting. If one looks at the Seventh Amendment test and at the practice in England at the time of 1787 related to the correction of inventorship, it should be a question of law. If this is a correct the SCA Hygiene Products case will have a huge impact on the timing related to filing of a correction of inventorship claim.